Why do I have to comply with the landing obligation when we are leaving Europe? The implementation period (IP) agreed with the Commission in March this year means that current fisheries rules will continue to apply during the IP. The Withdrawal Act will retain the current rules to bring certainty, and the recently introduced Fisheries Bill will deliver and enable significant change to fisheries policy and allow us to transform the fishing industry as an independent coastal state after we have left the EU. The UK Government remains fully committed to ending the wasteful discarding of fish and wants to work with the industry to address this issue. No, those using pots, traps and creels and in the brown shrimp (CSH) fishery are unaffected by the new rules and can continue fishing as before. Does this mean that I have to land everything that I catch? In general, you have to retain and land all quota species; non-quota species can continue to be discarded. Any fish that may represent a health hazard can be discarded. Specific optional exemptions to the discard ban also apply to some quota species; these are set out in the regulations. Please read the MMO guidance online or consult your local fishery office for further information. Prohibited species and undersized specimens of non-quota species must be discarded. Will bass be subject to Landing Obligation rules? Bass is not subject the Landing Obligation rules as it is not a quota species and is managed under a general prohibition with landings limits. Any bass caught without authorisation or in breach of landings limits must be discarded. What happens if I catch bluefin tuna? There is no UK quota available for Bluefin tuna. If the fish is alive, it should be returned back to sea as quickly as possible and unharmed. If the fish is dead, it should be landed. The tuna may not be sold, but can (after notifying the MMO) be donated for scientific research. The MMO has previously published guidance on Bluefin tuna. Do catch composition rules still apply? Catch composition rules no longer apply to any fish for which there is a quota. Vessels must retain and land all quota species caught. However, the current minimum mesh size rules continue to apply. I fish using scallop dredges, does the 5% bycatch rule still apply? Vessels fishing for scallops using dredges must now retain and land all quota species bycatch. This applies even if you have more than 5% by weight of fish. All quota fish must be retained and landed and you will need to find quota to cover your landing. If you have more than 5% of any species of non-quota fish (e.g. cuttlefish (CTL) and lesser spotted dogfish (LSD)), the 5% bycatch rule still applies. Are there any other changes I need to know about? Some specific gear technical requirements are also being introduced in 2019. 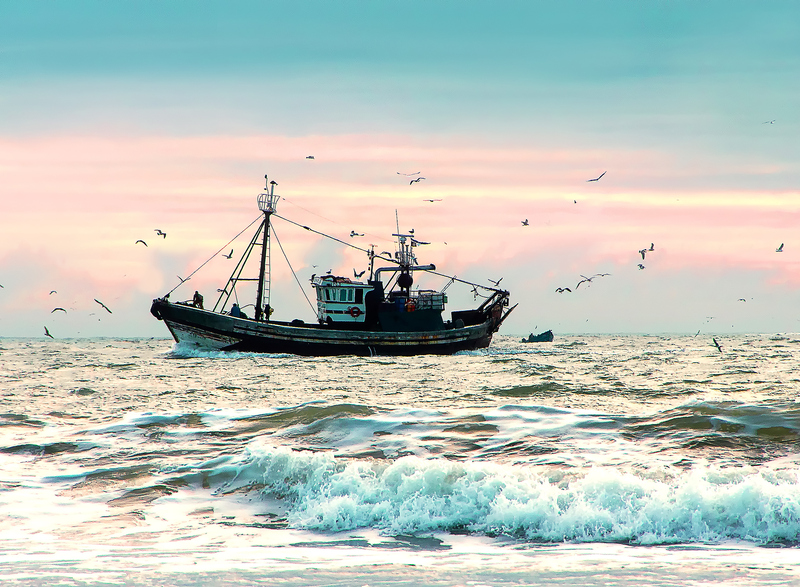 There are mandatory requirements for some Irish Sea fisheries from 1st January 2019 and for Celtic Sea fisheries from 1st July 2019. In addition, other optional technical gears can be used if you wish to take advantage of some exemptions which allow you to discard fish. Further changes may arise through annual quota negotiations and our guidance will be updated to include these as necessary. In a mixed fishery, it may not be possible to completely avoid unwanted catches. Where a fishing vessel has insufficient quota for species which it must land, it may run out of quota prior to the end of the year. This is a “choke”. Who is responsible for undersize fish that fishermen land? You are responsible for the undersize fish you land until you either sell or give it away. You cannot sell undersize fish for human food but the fish can be sold for other purposes such as making bait, fishmeal and cosmetics. Guidance for ports, harbours and markets on handling of and uses for undersize fish is available here. What should I do if I have to land fish for which I do not have sufficient quota? In general, you should try to take measures to avoid catching fish for which you do not have quota. For example, avoiding areas with high concentrations of those fish or improving gear selectivity. Quota managers and Producer Organisations are working to ensure as far as possible that choke risks are reduced. Can I sell over-quota fish which I have landed? You can sell your catch if it breaches your quota limits. However, fishing beyond your quota breaches licence conditions and could result in enforcement action. How are you going to enforce the Landing Obligation? The MMO will continue to use education as a first step, and provide help and guidance to those unsure of the rules. Current methods of compliance checks such as inspections at sea and on land will be used to check for any non-compliance. The MMO will continue to take a proportionate approach to compliance, further information can be found in our compliance and enforcement strategy here: MMO Compliance and enforcement strategy. Don't forget to like our Facebook page and follow us on Twitter for more updates. This legislation seems to be overly complicated and Draconian. Surely the words "discard ban" means you don't discard healthy fish, whatever the quota, whatever the species. When fishermen are out in the North Atlantic under extreme weather conditions, they are hardly in a position to inspect every fish caught at the moment of bringing the catch on deck. We're talking about tonnes of fish! This problem of overfishing must be solved by more scientific means. I speak not as a fisherman but as a frequent consumer of herring, mackerel, cod, haddock and prawns.